Maserati has won its first major National Car Award in one of the hardest categories there is: 'Great to Drive' beating Porsche to the wining post. Unlike more objective categories in the National Car Awards such as 'Reliability' and 'Economy,' the 'Great to Drive' vote shows how the winner has won the hearts as well as the heads of Maserati owners. WeLoveAnyCar.com asked Maserati owners what they thought of their cars and the comments are almost universal in their praise for the thrill of the drive. One owner said, "puts a smile on your face each morning as you get into it"
"Done Porsche to death. This is more practical than a Ferrari, goes like stink and gives a better exhaust sound than any Ferrari or Aston"
In 2015 Maserati will launch its SUV - The Maserati Levanti - following the success brands like Porsche have had in this sector. The Modena based Maserati will be launching its SUV at a similar time to other premium marques including Jaguar, so choice has never been so good for the Chelsea Yummy Mummies and Cheshire Set. Since 1926 Maserati has gone through four changes of ownership and its course has taken many a hairpin curve. Whilst the Maserati name has remained in the minds of car enthusiasts for years, the brand's troubled relationship with its many parents led to poor decisions and underinvestment. Harald J. Wester, a veteran car man with a motoring pedigree that could win him first prize at Britain's top dog show Crufts, seems to be the main reason why Maserati now seems to have a very bright future. 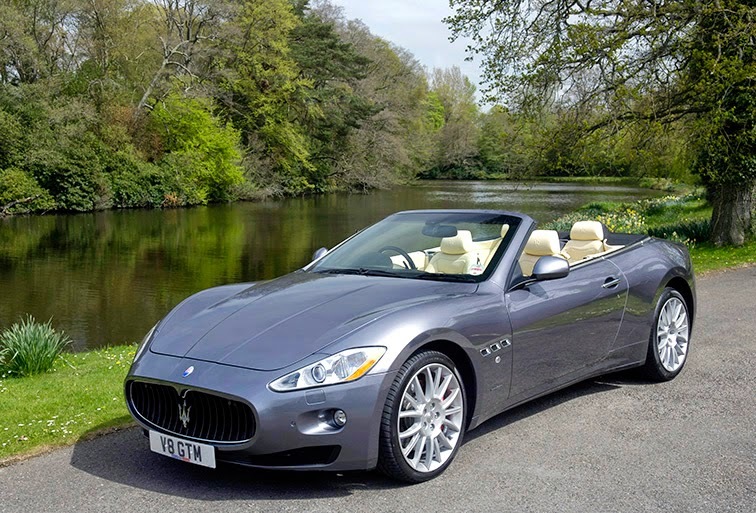 Wester took over the Maserati driver seat in 2008 and concentrated on the main strengths of the brand and sourced the investment he needed from the current owner, Fiat. Maserati recently broke into profit for the first time in 17 years because its Ghibli model - competing against the Mercedes E Class and Audi A6. Something spectacular is happening in Modena, Italy. Maserati, Alfa Romeo and Abarth are now grouped together as a partnership and the results would justify Fiat's decision to let the brands drive their own course. The Abarth not only won 3rd position in the National Car Award's 'Great to Drive' category, it has also won 'Rising Star' which shows the brand has the greatest potential of any car manufacturer in the eyes of their owners. 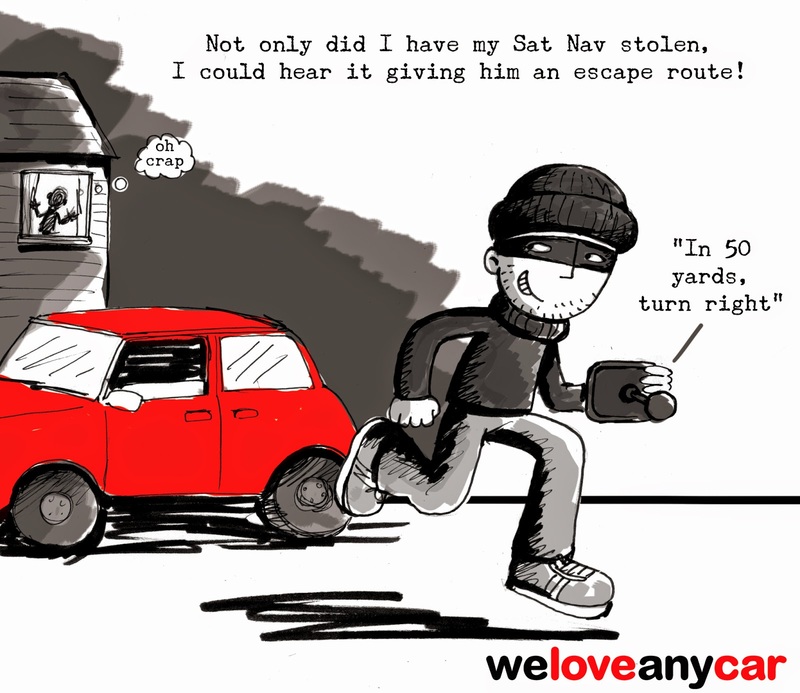 WeLoveAnyCar.com now has over 663,199 car owner reviews and covers virtually every model on UK roads. Each motorist is first verified as the owner of the car and then asked to rate a number of factors including "is your car Great to Drive?" Owners rate from 1 to 5, with 5 being the highest. Maserati received the highest rating overall when all scores were combined. They celebrate a Great British enthusiasm, our mutual love affair with cars. These awards - now in their second year - are on a very grand scale, decided by the results of Britain’s biggest ever car survey. Yes, there are lots of other awards handed out every year across the motoring scene: gongs aplenty for the best, most beautiful, fastest, most frugal, most technically accomplished models produced by the car industry. So what is different about these awards? The National Car Awards are not chosen by so-called experts, by small panels of professional car writers or technical boffins. They put the people who live with their cars, on a daily basis throughout the year, into the driving seat as judges. All the results are drawn from the experience and views of a vast army of actual owners of the cars reviewed. The huge database of owner verdicts from which these awards are drawn exceeds any of those on which other motor industry gongs are based. The cars celebrated here have emerged as the best in their categories, resulting from the candid verdicts of over 650,000 actual owners who pay for, drive and live with their cars on a day-to-day basis over collectively millions of miles annually. That is the acid test that all the winning cars in the WeLoveAnyCar awards have undergone: proving their merit in real world use by owners who have subjected them to the rigours of daily work, trial by family and all the punishing variety of driving in urban, rural and motorway conditions on roads throughout Britain. Our judges – all 663,218 of them – are generous in their praise of cars that meet and exceed expectations, and just as candid in criticizing makes and models that fall below par. So here we celebrate the winners of these exceptional car awards. This is the heartland of owner satisfaction, where collective weight of opinion matters. Drive the best. Sue Baker, seasoned Motoring Journalist, is the 'Editor In Chief' of the National Car Awards. Sue has overseen the process of making the Awards and adds her own commentary – helping car drivers decide on their next car - often one of the major financial decisions anyone can make. Subaru is the most recommended manufacturer in the National Car Awards beating Porsche and even highly rated Skoda to the pole position in the 'recommended by owners' category. Whilst Skoda gets top prize for best overall car maker in the WeLoveAnyCar.com National Car Awards, Subaru outstrips every other manufacturer when it comes to owner recommendations. Each motorist is first verified as the owner of the car and then asked to rate a number of factors including "would you recommend your car?" Owners rate from 1 to 5, with 5 being the highest. Subaru received the highest rating overall. What Car, Which Car and most of the motoring press would agree with Subaru owners. The Subaru line up today is impressive and almost universally recommended. The Subaru XV is a great alternative to Ford's C Max and the Nissan Qashqai. Well done to Subaru for beating all its rivals to be the most recommended manufacturer in the collective verdicts of owners. That is some achievement ahead of so many other well-respected brands. It makes it very obvious how enamoured those who drive them are with their Scooby-doos, and the cars come well up the list for reliability. Fuji Heavy Industries, the company behind Subaru, produced some 647,488 cars to October in 2014, 8.4% higher than last year. Production is increasing month on month with 83,325 units produced in September alone. Subaru is a very familiar site on the roads in countries like the USA and Australia. Subaru has increased exports by over 17% in 2014 and the brand and the highly regarded cars are an international success. In the UK Subaru is less successful and, according to the Society of Motor Manufacturers and Traders, it only sold only 2,271 units in 2013. Clearly the world loves the rugged, safe and reliable Subaru. The small group of happy owners UK will continue to wither which is a shame for such an admired vehicle. According to CarCountUK, the WeLoveAnyCar.com service which gives out how many makes and models are registered to drive on UK roads, there are 87,710 Subaru's on UK roads. With such low sales in recent years this figure alone is testament to Subaru longevity and reliability. "Great car that stands out from the crowd because it is so rare. Fun to drive." WeLoveAnyCar.com ranks all cars sold and the Subaru is one of the best. Hopefully Britain will soon wake up to the advantages of owning Subaru once again. For full information on all the winners of the National Car Awards please click here. The End of the Tax Disc - Driver's Beware! 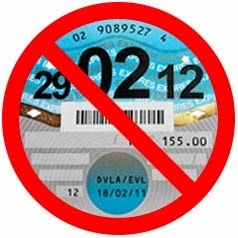 No more paper tax discs from the 1st of October! The DVLA has just asked us to tell you that tax discs won't be needed after 1st October 2014. You will still pay for car tax. A reminder will be sent to you when the road tax is about to expire, even if your car is exempted from paying it. How do I pay for the road tax? From the 1st October 2014, you will be able to pay the road tax annually, twice a year or monthly by direct debit. If you decide to pay every six months or every month, it will be 5% more expensive. Payments will be continued until cancelled. What if I am selling my car? Once you have sold your car privately, you should notify the DVLA to get a refund on remaining months. Tax discs WILL NOT carry over to the new owner. 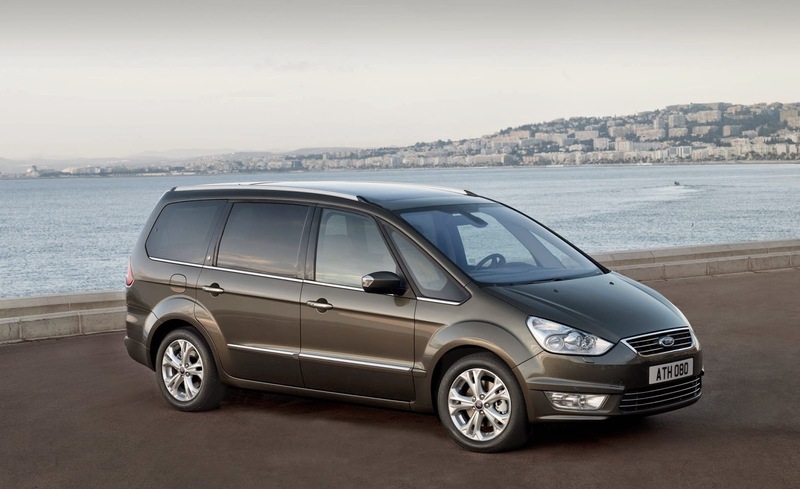 You can no longer sell a car with remaining months valid tax after 1st November 2014. If you sell your car to WeBuyAnyCar.com or a car dealer, they will sort it out for you. You can get a car valuation here . Road tax was introduced in the 1888 budget and the current system of excise duty applying specifically to motor vehicles was introduced in 1920. A new car with lower CO2 emissions means a cheaper road tax. New cars with less than 100g/km CO2 emission don't pay road tax. Search for any make and model, new or used here (the road tax information and mpg figures are included to help. Have a look at the UK’s biggest car review database to see what others think about their cars and which are the most economical run and maintain. For more information, visit our special information page on the changes taking place, just click here.